Situated on an 6,000 sf lot in Palo Alto, this project involved an interior gut renovation of an existing California Ranch and a new master bedroom suite, bridged by a Japanese tearoom. An open plan layout and strategically placed windows were used to create a bright and airy interior, while blurring the boundary between interior and exterior, to take advantage of a climate conducive to outdoor living for most of the year. 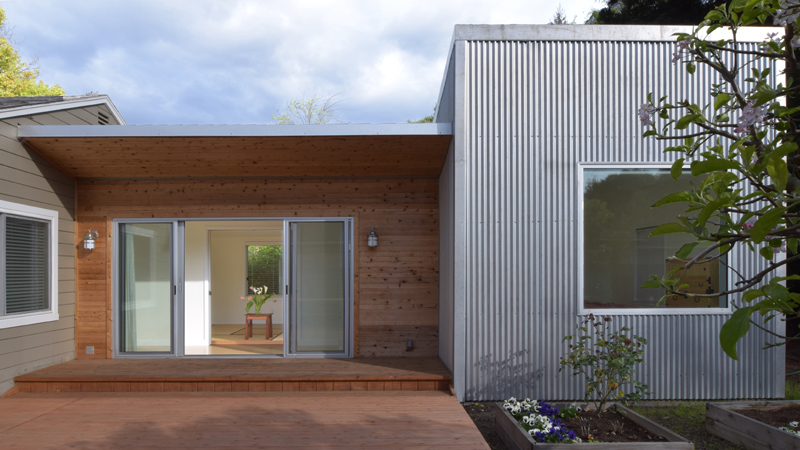 The addition’s exterior is clad in galvanized corrugated siding, with a clear-finished cedar porch & deck.